XDA risulta essere un grande ristorante, in cui ogni giorno qualche cuoco si sbizzarrisce creando nuovi piatti. XDA è infatti un ristorante di grande qualità, nel quale ogni giorno si cucinano ROM, app, e non solo. In questi giorni, dato il rilascio da parte di Google su Nexus 6P e Nexus 5X, è salita la febbre da Nougat e tutti i cuochi sviluppatori, si stanno mobilitando per portare Android 7.0 sui dispositivi non ufficialmente supportati. 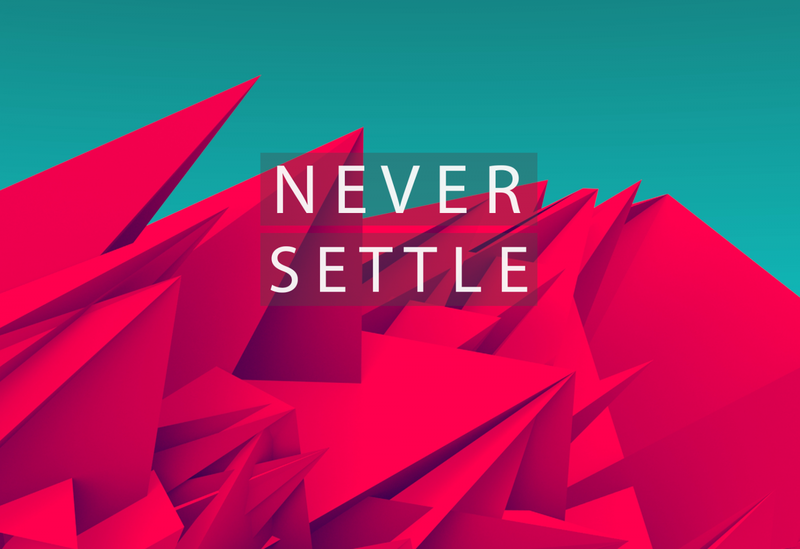 Tra questi non può mancare il mito, Oneplus One, esatto, stiamo parlando dell'inizio della storia di Oneplus, il primo modello dei tre. Ancora la custom ROM non è utilizzabile quotidianamente. Sarà possibile il root con SuperSU. Essendo ancora presenti molti bug, alcune funzioni non sono ancora presenti. Per ulteriori informazioni vi consigliamo di seguire il thread di XDA presente a questo link. Vi lasciamo con l'anteprima del thread, installerete questa custom ROM? Dite la vostra nei commenti! Hello guys, this is an unofficial build of AOSP Nougat (with tag android-7.0.0_r1). Kernel is based on CM13's, with some recent commits in kernel/common in AOSP. Sources and patches are available at the end of the post. Note: this ROM is just for having the first taste of Nougat, and thus missing a lot of key features. I may not be able to update it regularly. Almost everything works, except video hardware encoding, which causes camcorder to fail. HW decoding works though. I didn't find more hardware failures, but there can be more. And remember, the proprietary firmwares and blobs are still in the age of Marshmallow, and a system won't be complete without corresponding firmwares and blobs. 1. HW disk encryption is likely broken. I reverted some commits to make cryptfs_hw build, but I'm not sure if that works. Do not try it. 2. SELinux is permissive, and init allows service without a SELinux domain to start. 4. Only Launcher2 is included. You may install a new one as you like. 5. No LiveDisplay and gestures except DT2W (DT2W can not be turned off via Settings app for now). Color calibration is possible, see FAQ below. 6. Default input method could be broken. Be ready to "pm install your_ime.apk" in adb shell. 7. com.qti.dpmserviceapp may produce continous FC. You can disable it via adb shell ("su -c pm disable com.qti.dpmserviceapp"). So the security improvements in Nougat are not making much difference in this only-a-taste ROM. If you rely on this, it would be better to wait for official releases.